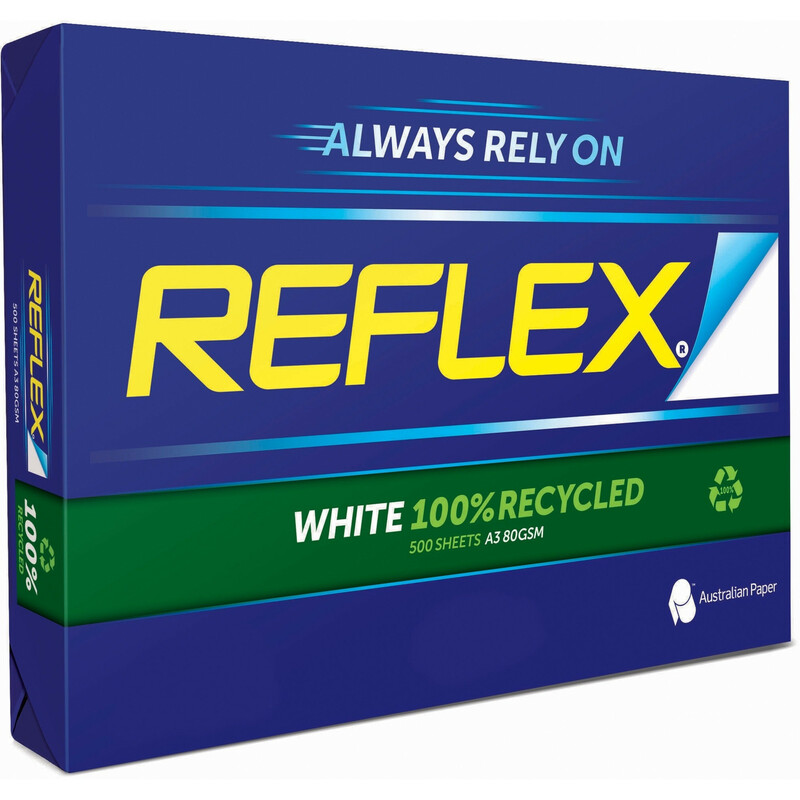 You can make a difference by choosing Reflex 100% Recycled; the reliable 100% recycled paper. Reflex 100% Recycled can also be recycled again through local waste paper collection service. Smooth Reflex 100% Recycled White has built-in curl control and works brilliantly through all types of office equipment.